Bonnie Gill's Blog: Friday! Wave those pirate flags! Okay it's been a super long week. 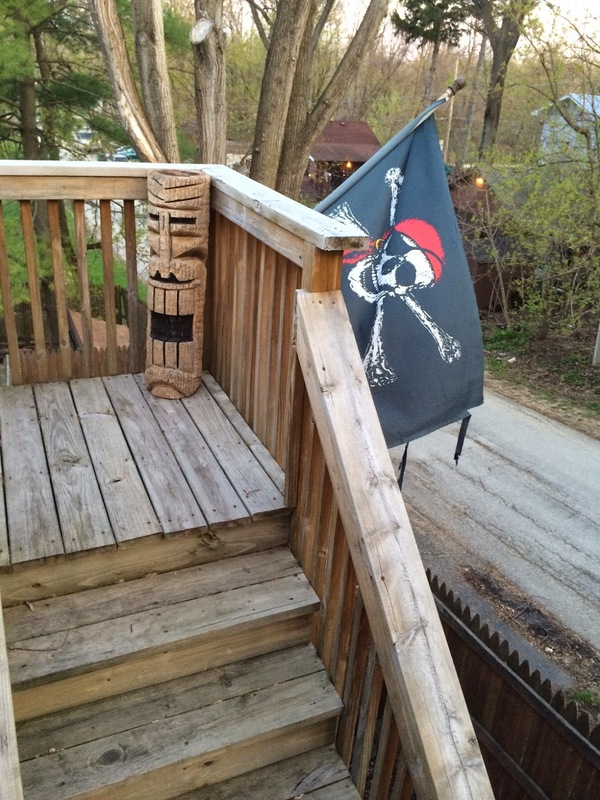 I say raise your pirate flags and go out and have some fun. Robbin has lookout duty. You never know when those squirrels will attack. 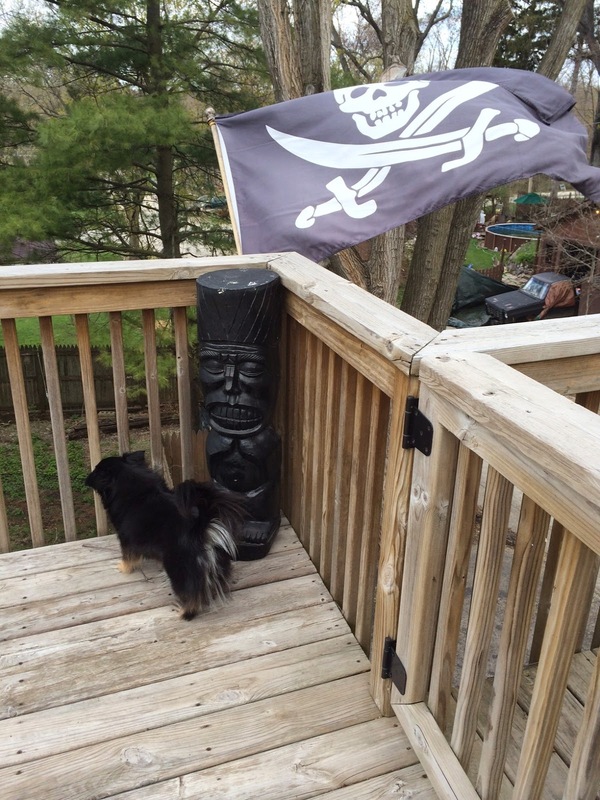 Here's our Jolly Roger flag. Did you know pirate captains had their own unique flag so they could be identified? This is Tanner. 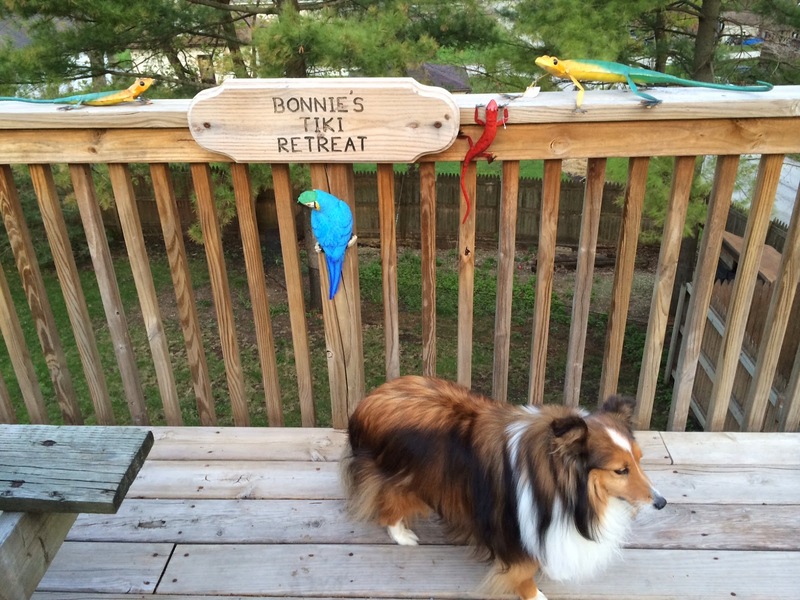 He's chilling out on the deck with the fake bird. My boyfriend took me on a pirate ship cruise years ago. We had so much fun. I had to sing a song with a big ice cube in my mouth in front of everyone or they would have made me walk the plank. Here we are with one of the pirates at dinner time. He liked my pirate jokes. They both say "Yo Ho," and walk with a limp. A pirate walks into a bar with a steering wheel in his pants. The bartender asked the pirate, "Why do you have that steering wheel down your pants?" The pirate answered, "It's driving me nuts." Your dogs are so cute. A pirate cruise sounds like a blast. Thanks for sharing the photos! Thanks so much. I think your doggies are cute, too. The pirate cruise was a blast. We drank pirate grog and did pirate line dances.